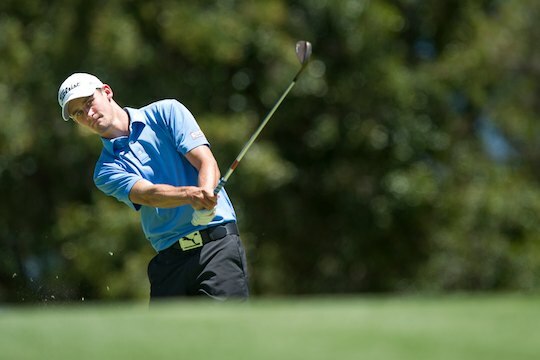 Jarryd Felton will go up against Victorian James Bannan in the final of the New South Wales Amateur Championship being played at Concord Golf Club in Sydney. Felton overcame good mate and fellow Western Australian Curtis Luck in Monday’s semi-final with a 2&1 victory to set up his finals appearance against Bannan, after the Victorian defeated Dale Brant-Richards, 1-up. Funding his own way to compete in these Eastern State events, Felton continues to stamp his mark on elite Australian amateur golf. Late last year Felton won back-to-back at the City of Perth Championship and the Mandurah Amateur, as well as the Queensland Amateur Stroke-play title. Three wins from as many starts in what would be the start of something special for Felton. At the time Felton’s world amateur R&A ranking climbed from the mid-300s to 76th and following a runner-up finish at the Lake Macquarie Amateur, his ranking currently sits just outside the desired top-50 at 53rd. Once inside that number, automatic starts at the US Amateur and more than likely an invite to the Western Amateur will come. A win at the NSW Amateur on Wednesday will more than likely push him inside the top-50. “My game has not changed that much, just that I now know I can compete with the best,” said Felton after Monday’s semi-final victory. A fortnight ago Curtis Luck finished runner-up at the Australian Amateur in Adelaide and last Friday took out the NSW Medal. Like Felton he also is marking his mark in these bigger events, often at the expense of our marquee amateurs who so far this season have yet to produce the expected results. The Felton/Luck situation is a classic “Cinderella” story. Mates from Western Australia taking the plunge to travel extensive distances to format a ‘tour schedule’ on the East Coast with little or no funding from third party authorities, rather just burning a hole in their parent’s pockets. Stuart and Jody Luck along with Christina and Jason Felton certainly have every right to be proud of their boys, who both are outstanding sportsman and show maturity well beyond their teenage years. Over the last three months, the talented pair have bagged five wins (Curtis won the Victorian Junior Masters to get a start at the Victorian Open and last Friday the NSW Medal), two runner-up finishes and eight top-20 results. “We have lived, eaten and basically spent every day together for the last six weeks,” says Felton. Neither Luck or Felton are members of Golf Australia’s High Performance National Squad, yet when the next annual selection date rolls along and providing the fence posts don’t move, they must surely get the attention of the people in charge. For Felton a win at the NSW Amateur would have a more important benefit – it would see him inside the world’s top-50 and that will certainly open more doors.